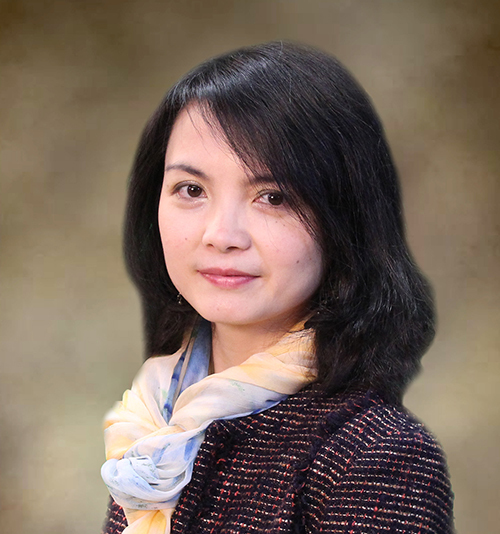 Jinting Wu is Assistant Professor of Educational Culture, Policy and Society. She is an educational anthropologist with an interest in philosophy and cultural studies. Her research often deploys ethnographic field methods to critically investigate relationships among schooling, society, and culture; it also examines educational policy shifts both as lived experiences and as reflecting the larger spheres of cultural ideation, social (re)production, nation building and globalization. Recent projects have involved study of rural minority education, child disabilities and special education, immigrant youth and families, and educational meritocracy on the global stage. Prior to joining the GSE faculty, she worked as Assistant Professor at the University of Macau (SAR, China) and was a postdoctoral fellow of educational sciences at the University of Luxembourg. Richardson, J.G., Wu, J. & Judge, D. (2017). The Global Convergence of Vocational and Special Education: Mass Schooling and Modern Educability. New York: Routledge. Wu, Jinting. (2016). Fabricating an Educational Miracle: Compulsory Schooling Meets Ethnic Rural Development in Southwest China. Albany, NY: State University of New York Press. Wu, J. (2018). Performing the Nation, Performing the Market: Hybrid Practices and Negotiated Meanings of Chinese Rural Teachers. Anthropology & Education Quarterly, 49 (4): 428-443. Wu, J. (2018, online first). Confucian Revival and the Hybrid Educational Narratives in Contemporary China: A Critical Rethinking of Scale in Globalisation and Education. Globalisation, Societies and Education. Wu, J. (2018, online first). Transnational Strategies in the Shadow of Citizenship: Chinese Migrants in the Grand Duchy of Luxembourg. International Journal of Lifelong Education. Wu, J., Eaton, P., Robinson-Morris, D., Wallace, M.F.G. & Han. S. (2018). Perturbing Possibilities in the Post Qualitative Turn: Lessons from Taoism and Ubuntu. International Journal of Qualitative Studies in Education, 31 (6): 504-519. Wu, Jinting. (2017). Ethnic Tourism and the Big Song: Public Pedagogies and the Ambiguity of Environmental Discourse in Southwest China. Educational Philosophy and Theory, 49 (5): 480-500. Wu, J. & Wenning, M. (2016). The Postsecular Turn in Education: Lessons from the Mindfulness Movement and the Revival of Confucian Academies. Studies in Philosophy and Education, 35:551-571. Wu, Jinting. (2016). Educational Discipline, Ritual Governing, and Chinese Exemplary Society: Why China’s Curriculum Reform Remains a Difficult Task? Policy Futures in Education, 14(6): 721-740. Zhou, Y. & Wu, J. (2016). The Game Plan: Four Contradictions in the Development of World Class Universities from the Global South. Education and Science, 41 (184): 75-89. Wu, Jinting. (2013). Towards a Curriculum of Vulnerability and Blandness: Insights from Levinas and Classical Chinese Thoughts. Journal of Transnational Curriculum Inquiry, 10 (2): 49-63. Wu, Jinting. (2012). Disenchantment and Participatory Limits of Compulsory Education: Lessons from Southwest China. Compare: A Journal of Comparative and International Education, 42 (4): 621-645. Wu, Jinting. (2012). Governing Suzhi and Curriculum Reform in Rural Ethnic China: Viewpoints From the Miao and Dong Communities in Qiandongnan. Curriculum Inquiry, 42 (5): 652-681. Wu, Jinting. (2012). A Sermon as Counter Sermon on Educational Research. International Journal for the Historiography of Education. vol. 2:102-105. Wu, Jinting. (2012). Performativity in China’s Ethnic Borderlands: Ethnographic Fragments in a Rural Miao Community. The Michigan Journal of Asian Studies, 1 (2): 79-88. Wu, Jinting. (2018). Erasure and Renewal in (Post)socialist China: My Mother’s Long Journey. In Childhood and Schooling in (Post)Socialist Societies: Memories of Everyday Life. Eds. Iveta Silova, Nelli Piattoeva, and Zsuzsa Millei, pp. 205-230. New York: Palgrave MacMillan. Wu, Jinting. (2018). The Uneven Work of Sustainability: Schooling, Tourism, and Rural Development in Southwest China. In Routledge International Handbook of Schools and Schooling in Asia, pp.693-708. Eds. Kerry J. Kennedy and John Chi-Kin Lee. New York: Routledge. Wu, Jinting. (2016). Ambivalent “Quality” and the Educational Sublime: Compulsory Schooling Meets Rural Development in Southwest China. In Spotlight on China: Changes in Education under China’s Market Economy, eds. Guo, Shibao & Guo, Yan, pp. 67-84. Sense Publishers. Konkol, P. & Wu, J. (2015). Curriculum and the Policy Milieu. In The Sage Guide to Curriculum in Education. Eds. Ming Fang He, Brian D. Schultz, and William H. Schubert, pp. 319-325. Sage Publications. I served as an invited panelist for the Webinar Series “Discussing Comics and the Notions of the Human,” Post Foundational Approaches to CIES Special Interest Group, Comparative and International Education Society. The panel was held as a conversation with Dr. Elizabeth De Freitas (Manchester Metropolitan University), Dr. Daniel Friedrich (Teachers College, Columbia University), Dr. Jinting Wu (University at Buffalo), and Dr. Susanne Ress (Humboldt University of Berlin).